Turkish Foreign Minister Mevlut Çavusoglu lashed out at the United States on Monday amid the strain in relations between the two states that followed President Trump's decision to double steel and aluminum tariffs already in place on Turkish imports. Turkish Foreign Minister Mevlut Cavusoglu said that Turkey has done enough to repair its ties with the United States. 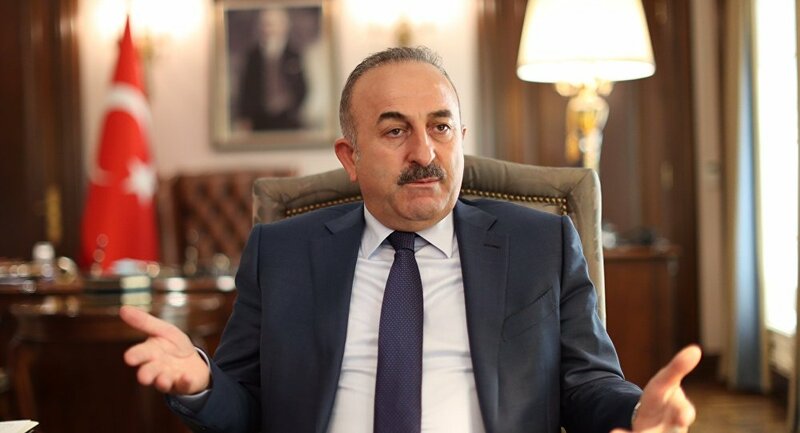 Mevlut Cavusoglu also added that the United States should learn that it will not achieve any positive results by threatening Turkey. "We support diplomacy and negotiations but it is not possible for us to accept impositions," Cavusoglu said. Cavusolgu also called on the US to "remain loyal to ties based on traditional friendship and NATO alliance" with Turkey. Earlier, Turkish President Recep Tayyip Erdogan also noted that US President Donald Trump's decision to double tariffs on metal imports is against the rules of the World Trade Organization (WTO). Relations between Washington and Ankara have been strained in recent years over Turkey's refusal to release American pastor Andrew Brunson, who was arrested in 2016 after a failed coup and accused of terrorism and espionage. In late July, he was released from prison and placed under house arrest, while facing terrorism charges. The US believes that he was jailed unlawfully. Ankara has scolded the US sanctions and promised to freeze the assets of the US justice and interior secretaries in Turkey.